You figure that the gaming writer for TechnoBuffalo would pick a gaming console of some sort for his favorite tech gift, right? Wrong! I'm going with a graphing calculator. Bring it on. The year was 1999, and I was a brand new freshman in high school. One of the requirements for AP and Honors classes in my school district back then was that students had to have access to a graphing calculator. 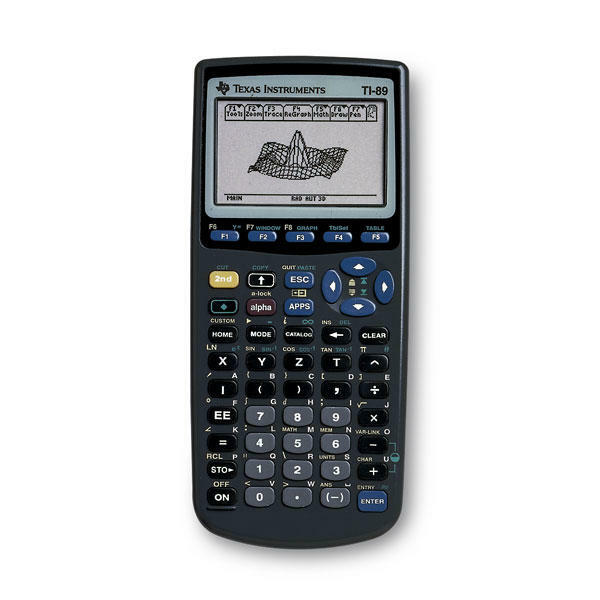 The brand most teachers told their students to buy or borrow was Texas Instruments. By far, the most widely used calculator in my high school was the TI-83 Plus. It sold for around $50 at local office supply stores, and teachers typically used it as the calculator they built some of their lessons around. Students bought this model for that reason: it was easy to follow the lesson when you're working from the same device. For Christmas in '99, my folks bought me a TI-89. Several models later than the TI-83 Plus (though the Plus and 89 were released in the same year), the TI-89 packed more memory, better pixel density and a faster processor. It was a beast compared to the 83 Plus, and that meant the games were better. Several free sites offered up a whole variety of games. You could download ports of classics like Super Mario Bros. and Sonic the Hedgehog, but I was never a big fan of piracy. The term "piracy" wasn't really tossed around back then, but I recognized that I'd much rather play Nintendo and Sega games on the systems they belonged to. Instead, I went for user-created software. Clearly a rip-off of a game for the Atari, Falldown was fun because of its simplistic nature.